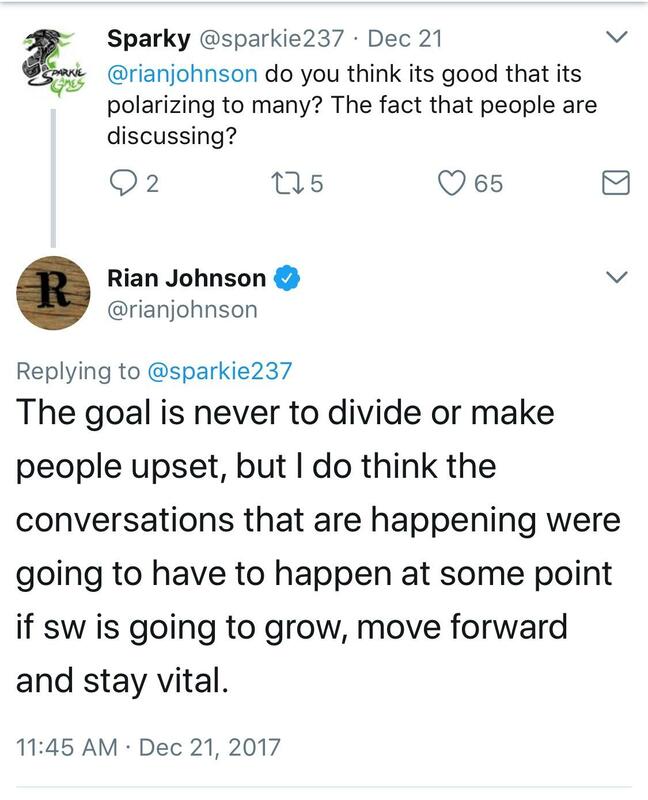 Rian Johnson director of TLJ has stated he wants to make films that purposely divide the audience. He thinks it’s 'exciting' if half the audience really hate his movie(s) while others like it. Personally I feel like he treated TLJ as a solo film and threw the idea of established lore and characters out the window. This doesn’t surprise me at all. Going with divisive and subversion for subversion’s sake was and is not a good idea for a Trilogy film. I think he sounds attention seeking and wannabe edgy. Arrogant too. That last tweet was prob after Mickey told him to tone it down. I think he fails to realize he bought us back to where we were at the end of RotS and made the OT meaningless. Yeah, I suppose it’s easier to carry on the hate if you guys tell yourself that. I didn't like either movie, TFA for terrible film making and lack of character building. TLJ was horribly paced and bored me to death, which is also my biggest gripe with AotC. 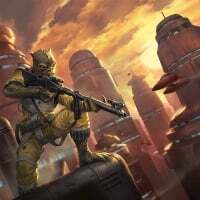 By the time they got to Crait/ Geonosis, I just don't care anymore. Nothing wrong about that, We all like different things. Many people like Rogue One for example, while I think it’s an extremely underwhelming and mediocre movie. 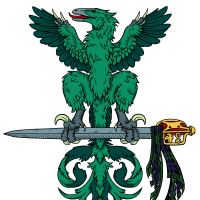 I'm ot one of the twitter warriors who got involved in that whole debacle. I'm still trying to figure out the Rose hatred, she is the one new st character where I understand her motivations. I hear you, and perhaps I misdirected my bullets a bit. I totally get that not everyone like TLJ and what RJ did. To me, it’s not at all as subversive as some people make it out to be, but he certainly shook things up a bit. As I see it however, it’s the people that can’t let go of it, and keep attacking certain individuals over a film that came out 1,5 years ago, that is currently hurting the Star Wars fandom. I felt the exact same way back in like ’99, btw. I was also deeply disappointed by TPM, like so many others, but after a little while you gotta move on, ya know? People did the same back then with Jake Lloyd and Ahmed Best. Social media wasn’t a thing back then however so, good for them atleast. Such a shame. As a note for TLJ haters and fans, I think that, even though killing Luke was a mistake, killing Smoke was brilliant. We don't need the same original trilogy with the same characters and sides only with new names. SW VII should have been totally different (though I like Rey and Kylo), maybe with more sides in conflict rather than the two we had on original trilogy, it's a f huge Galaxy, many aliens having their own interests. Jhonson might have pushed Disney and Abraham's to be more creative for the next one... though I'm sure they won't risk anything at all. The problem with killing Snoke is that with an untrained Rey already slapping crylo around, there is no credible threat. Hux is a joke, crylo is coming off as a typical incompetent disney villain, and the rest of the FO doesn't take him seriously. The Imperials were terrified of Vader, crylo they just kind of go off in different directions during his lil episodes. The 2 stormtroopers reaction in tfa when he was destroying a computer bank made it look like they were all used to and dismissive of his tantrums. Well, if you kick a cat in the guts enough times, it’ll likely start showing its resentment towards you eventually. the last jedi is a brilliant movie. 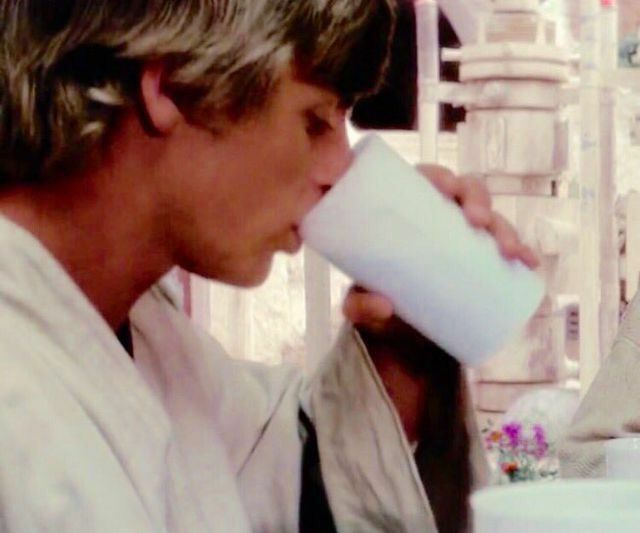 Now, someone inevitably brings up the argument "but TLJ made record numbers at the box office" but let us think about where everyone was when TLJ came to theatre's, we were fresh off of TFA, which for all intents in purposes was a good movie b/c it established the new characters (some poorly but that's debatable as we had no idea where they were going with origins etc *cough* Rey *cough*) and we were left with arguably one of the greatest cliffhangers in film as it ended with Rey finding Luke and presenting to him his grandfather's lightsaber, then black screen. 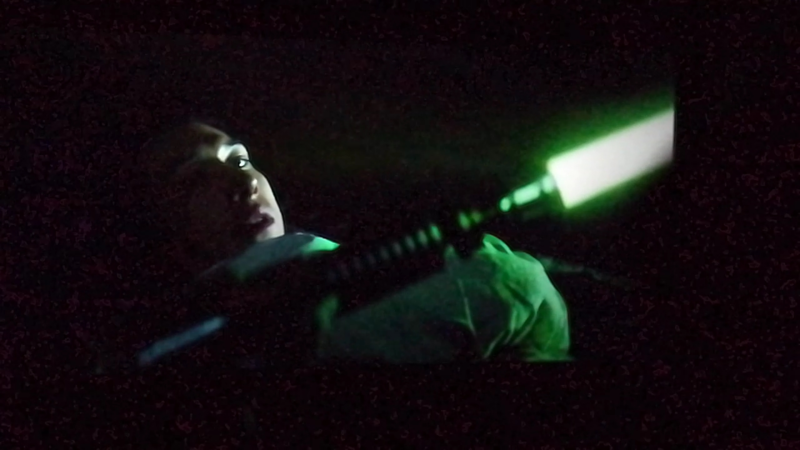 There was no one anywhere Star Wars fan or not who wasn't interested in seeing what happened next. Rian Johnson was given arguably the greatest bait in film history to get butts in the seats for his film. Here is some evidence that TLJ was a bad film, and keep in mind when I say "bad film" I mean specifically for Star Wars and this trilogy, not bad on it's own or overall. TLJ made no sense from a story standpoint based on what has already been established and since this movie was part of a trilogy and the "bridge" movie, he shouldn't have gone rogue, this wasn't the time or place for that. Also, RJ killed off the major villains with the exception of Kylo and turned this trilogies Grand Moff (Hux) into a walking punchline. The major characters didn't have significant growth for us to anticipate their return in the final installment. To be perfectly honest, any hype at this point for Star Wars fans will be to see if JJ is able to "fix" what RJ has done. More evidence is what Disney did. Immediately after TLJ around right before SOLO they backpedaled to the prequel trilogies and that time period with the exception of the new animated show. There would have been no need to do that if TLJ was a "brilliant" film. Also remember that most Star Wars fans are now adults with or without kids and the new toys are just sitting on shelves b/c they just aren't buying them for themselves or their children. The prequel and OT toys still do decently well but this new trilogy is hemorrhaging cash as far as merchandise is concerned. 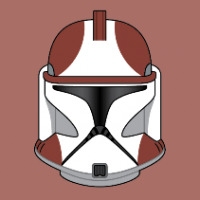 Hell, the GoT guys film trilogy is set to take place in the Old Republic. All, of which wouldn't be happening if TLJ was a "brilliant" film. Which brings us to how TLJ brought up questions about the creative process from Kathleen Kennedy all the way down the line to the writers, nobody asks questions like that negatively if a film was good. 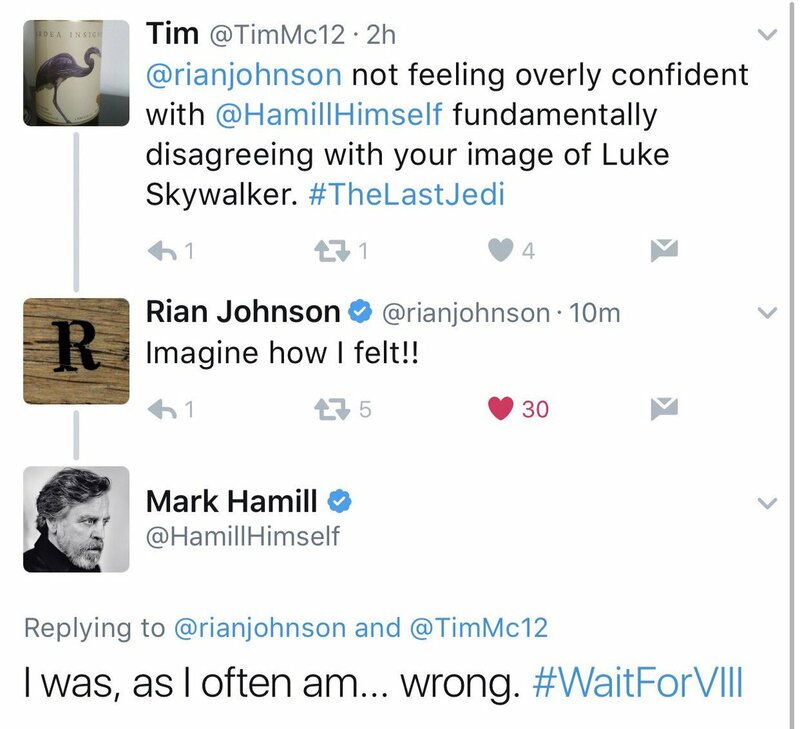 JJ himself was even asked about it where he had to admit that RJ was writing TLJ before TFA was done or they had even met. 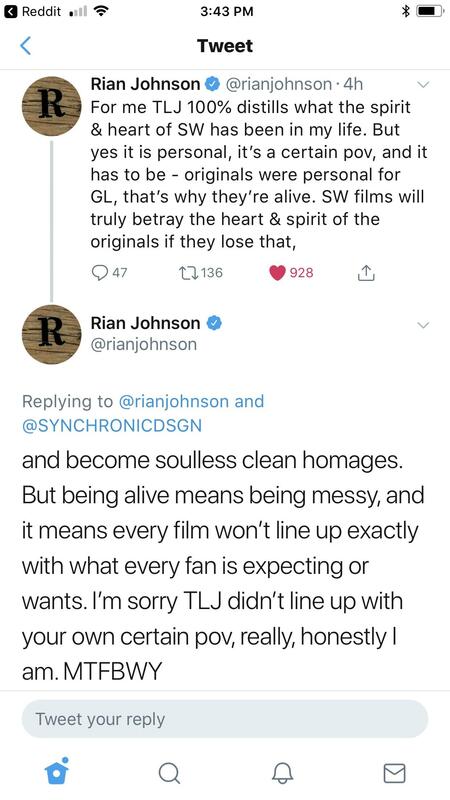 I get what RJ was trying to do, but he should have waited for his own trilogy to do it, that way he could have packaged it in a way that made sense for the universe, now, who knows if the guy ever touches SW again. So, we are at a point where there are a lot of questions, such as, can JJ save this trilogy, does KK remain head of LF, does RJ actually get to make his trilogy, all of which would not be in question...if TLJ was a "brilliant" film. Ruin Johnson at it again, lol. According to rumors, Colin Treverrow fought against some of Rian and Kathleen Kennedy's decisions in episode 8, particularly Rian's decision to kill off both Snoke and Luke, which is why he basically got fired from the movie. Even JJ has suggested in interviews that he wasn't a fan of many of Rian's decision, he said that Rian took 8 in a completely different direction from what he had expected when he finished episode 7 and wrote a rough story overview for the whole trilogy. I feel bad for JJ, will be hard to salvage the mess that Rian left him with. How about you throw in a link or two to these interviews and stuff you’re on about? JJ said RJ took it in another direction than he had imagined, sure, but it was RJ’s right to do so! He was hired specifically to do that! To write his Star Wars film. I’ve yet see JJ suggest that he wasn’t a fan of it however, so share. Not saying it didn’t happen, but I sure haven’t seen it. You didn’t present one single evidence in your little hubristic speech there, you do realize that, huh? All you’re doing is drawing conclusions based on your own biased view and making connections that aren’t rooted in reality. 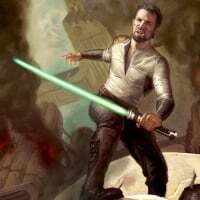 Benioff-Weiss’ trilogy wouldn’t be taking place in the old republic if TLJ had met your idea of a brilliant film? Are you for real? Prequel and OT toys still sell well? TLJ is a brilliant film. Sorry. ”He said, ’It's so good, I wish I were making it.’"
Did the Last Jedi cone out 15 years ago? I mean it certainly feels like a while since it came out, but that’s just absurd. You're final sentence is exactly what I'm talking about. Now, if you want to blindly like the movie, fine. Make a blanket statement, that's you're right, but simply stating something doesn't make it true and I have heard NOT A SINGLE coherent argument as to why TLJ was a brilliant film but there is reason after reason, post after post, video after video as to why it's not and I gave example after example to support the statement I made. MAKE AN ARGUMENT AS TO WHY TLJ WAS BRILLIANT. That's all I'm asking but don't be a pigeon and knock over pieces on the chess board then strut around like you've won. I actually want to see someone make a valid argument as to why TLJ was brilliant. That film came out in 2017 and I haven't heard ONE. SINGLE. decent argument as to why it was a good Star Wars movie. Not even great, but good. Same. 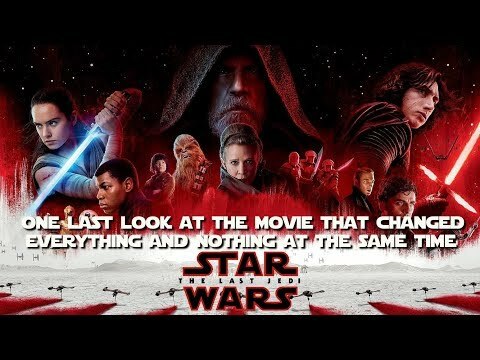 I've heard several arguments as to why it's bad, a few for why it's good, but I have never heard a solid argument as to why The Last Jedi Is great on the same level of MauLer's argument against the movie. Psst.. Hey @mandalorj and @Prof_Moriarty try watching this. And, for the hundredth time, crickets. There is, once again, no argument to be found in favor of TLJ. Disappointing. Yeah, because the ”sorry” part of that last sentence wasn’t tucked on as a tongue-in-cheek response to your post... right mate? 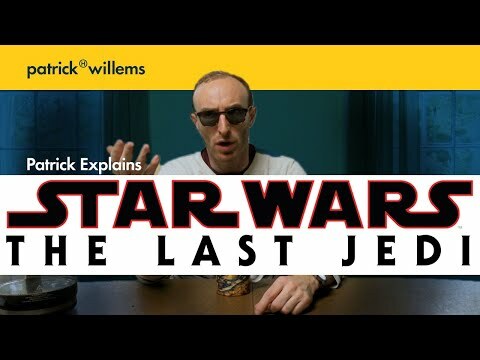 It’s fully my right to give blanket statements, yeah, (actually I prefer people who do that before those who make up fictitious connections in order to support their claim), and I think I have discussed my view on TLJ so many times on these forums that I comfortably can afford to make one. And what is your take on the GoT-guys’ trilogy, if not a blanket statement? TLJ paid great respect to Luke Skywalker and made him into a true jedi master. But not by allowing him to be some sort of valiant powerhouse in his late 60’s, waving his lightsaber around and whatnot, but by digging deeper into his character, as it was presented in the OT, and expanding on that. The bitter, cynical take on old Luke, with a touch of darkness to boot, was brilliant, imo, and made his redemtion (or whatever you wanna call it) at the end even more powerful. By killing Snoke they also pushed Kylo Ren to the foreground of the FO, and I absolutely love what a complicated villain he is, completely torn between emotions. I can’t wait to see where they are taking him next. The film also had some of the best dialogue in the entire saga, with Yoda’s return. His ”We are what they grow beyond”-pondering is just beautifully worded, and a return to form for the character. This is just some of the things that make TLJ great. First off, TLJ has a metacritic score of 85 and a RT critic score of 91%. Read the reviews. No, don’t just look at the score, but read the lengthy reviews. And do not return with some unsupported claim of ”bought” and ”corrupt” reviewers or whatever, especially if you want to credibly lean against clickbaiting Youtubers and after declaring your apparent distaste for blanket statements. If you want to treat these as ”coherent” or not, that’s really up to you. I have zero problems with you or anyone else not liking The Last Jedi. We all like different things. It’s when people start making pompous claims about how The Last Jedi is an objectively bad movie, and make up ludicrous ”evidence” to support it, that it enters the realm of arrogance. Especially if you choose to neglect the other ”side’s” pov. What do you wanna hear? That a random dude presented his subjective view on TLJ, or that a clickbaiting Youtuber got you right where he wanted you? It’s almost as if you’re strutting around here with a self-perceived sense of victory... Chill? I know... isn’t it enervating to have your ”solid content” belittled and discredited? Everytime someone brings up the good reviews man. Everytime. We can't make anything but a blanket statement on the GOT guys' new trilogy because it hasn't even happened yet. I understand that it took you some time to dig deep and find some straws to grasp but almost every single point you gave has been countered so many times I'm actually shocked you made some of them as points. TLJ paid great respect to Luke? Hamill himself was not pleased with how Luke was portrayed and I would think he would know better than most. I mean, this was the guy who didn't give up on his father, Darth Vader. He believed that guy could be redeemed and was proven right, if he was proven wrong I could understand him being bitter and cynical but Anakin was redeemed in the end. Luke's attitude wasn't a brilliant take, it was the take of someone who neither knows or cares about the history of the character. Hell Rian wasn't even going to have Luke acknowledge C-3PO's presence when he returned, Hamill had to not only call him on it but then RJ was like "ok do whatever" DO WHATEVER?!?! this dude....MH had to add the wink himself. Stop defending this guy. Again, I understand what he wanted to do but this was neither the time nor the place, he should have waited for his own trilogy. TLJ was NOT objectively bad, you're not understanding at all. It wasn't a bad film but it was awful Star Wars film and an even worse trilogy film. Also those critic reviews....make no coherent argument as to why the film was brilliant, they just use general terms like, " The Last Jedi is a satisfying, at times transporting entertainment with visual wit and a distinctly human touch." " The Last Jedi builds upon Star Wars history for a more expansive, high-stakes adventure with plenty of fresh – and classic – elements"
@Prof_Moriarty if you want the best of the arguments against The Last Jedi, watch MauLer’s criticism. No, it took me time because I had to sleep and work. You may say the reviews aren’t worth anything, I say the same goes for the majority of the Youtubers. They just go on about the same few, often extremely minor, details that they share between themselves. The rest of your post is just opinions. I don’t care what they are. All fine. Your points have, as I’ve said, been countered endless times, as have mine. Back and forth, that’s a discussion. Don’t fool yourself into thinking they are evidence of anything else than your personal taste however. Because they aren’t. Whatever damage, lore-wise or financially, you think TLJ has caused is made up in your head. That’s fine too, but saying it’s evidence is a bit much, eh? Just as a sidenote, when I really dig a film, I don’t actively look for ways to dislike it, lol... You do get that, right? Not that some random Youtuber will change that, but... y’know... That’s one of the things I seriously have a hard time grasping with you lot sometimes, because I can see why you’d wanna go the other way around. Hamill himself was not pleased with how Luke was portrayed and I would think he would know better than most. I didn’t look for things that made me dislike the movie. Initially I looked for videos and articles to prove me wrong. However, none of them gave good enough arguments or some even resorted to name calling and insults. The MauLer criticism popped up in my recommendations one day while I watched the CinemaWins for The Last Jedi and I gave it a try and I ended up agreeing with most of what he said. I want to like this movie, but I haven’t found a good enough reason yet. Go look at the numbers from Disney Financial regarding the sales, or lack thereof, of Star Wars merchandise. The numbers are right there for everyone to see but lets ignore that and just focus on what has transpired since the movie. 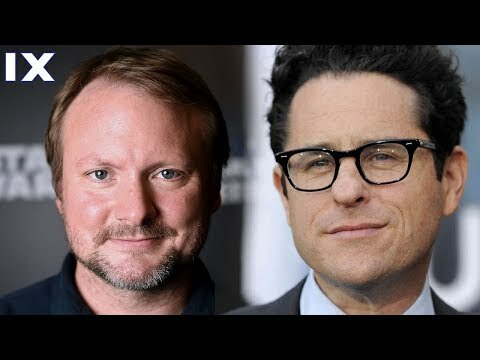 If TLJ was so "brilliant" and did no damage to the franchise as a whole, it would be business as usual, there would be no question regarding Lucasfilm leadership, there would no talk of Star Wars fatigue and Disney would be pouring money and resources on not only hyping the conclusion of this trilogy but boasting about an upcoming trilogy by that brilliant genius Rian Johnson. See, the fallacy with your thinking is, if what you say was reality and detractors of the movie were truly looking for things to pick the film apart about or if all this was "MADE UP IN YOUR HEAD" as you put it, then the actual actions of Disney would reflect what you're saying and not what critics of TLJ are saying. But they don't. This trilogy is in trouble, the question of "can JJ Abrams save it" would make no sense if TLJ made sense from a story stand point and it absolutely did not. Like the film all you want, that does not negate the fact that the new Star Wars trilogy is not in a good place right now. Fans think it, Disney obviously thinks it as well based on what they have done over the last year. BTW those parks were planned before TFA was announced, construction started before that movie came out, please don't lie and claim the "brilliance" of TLJ had anything to do with them. According to rumors, Colin's 9 was going to be heavily Leia focused, much like 7 was Han focused and 8 was Luke focused. However, Carrie Fisher's untimely death threw a wrench into those plans. Supposedly Colin wanted Luke and Snoke alive so that Luke and Snoke and Rey and Kylo could have climactic duels back to back, much like the back to back duels between Anakin and Obi-Wan and Yoda and Sidious in episode 3. We also heard from another celebrity, an SNL cast member who attended a party that Daisy Ridley and Colin Treverrow were also attending, that Daisy asked Colin what his plans were for Rey, and they went off into a private corner to discuss his plans. The SNL cast member said that Daisy was crying tears of joy after hearing Colin's plans for Rey. I really hope that we eventually get more detailed leaks for what Colin's episode 9 would have been, I have a feeling it would have been really cool. But now... *sigh* who knows?